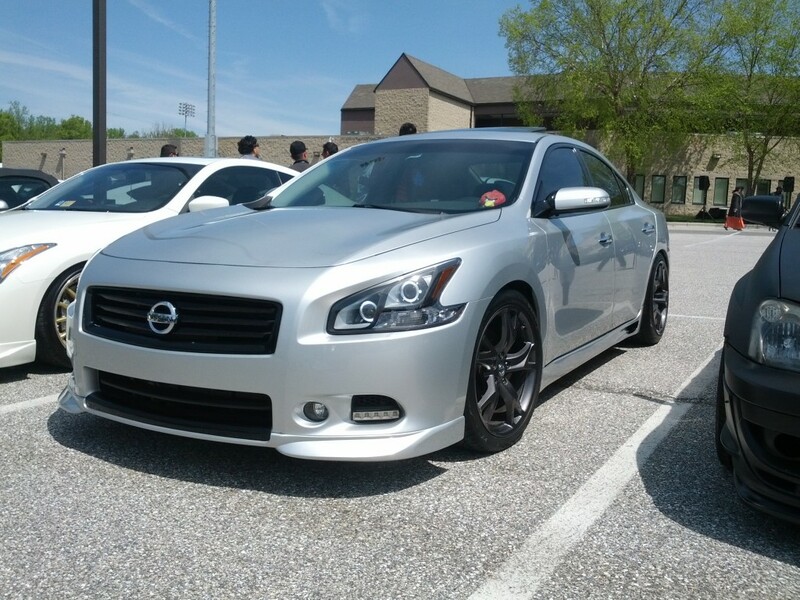 This Maxima has made significant progress over the course of the past few years. 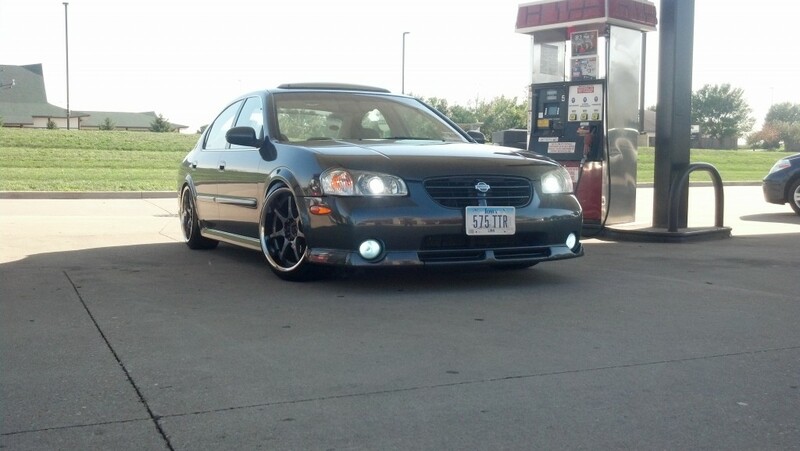 Initially working on a college student budget, the car began life with its current owner as a completely factory spec Anniversary Edition Maxima. Completely stock, with the 3.0L VQ30 engine. Initially, this car was intended to be an everyday car, but soon turned into a performance experiment. 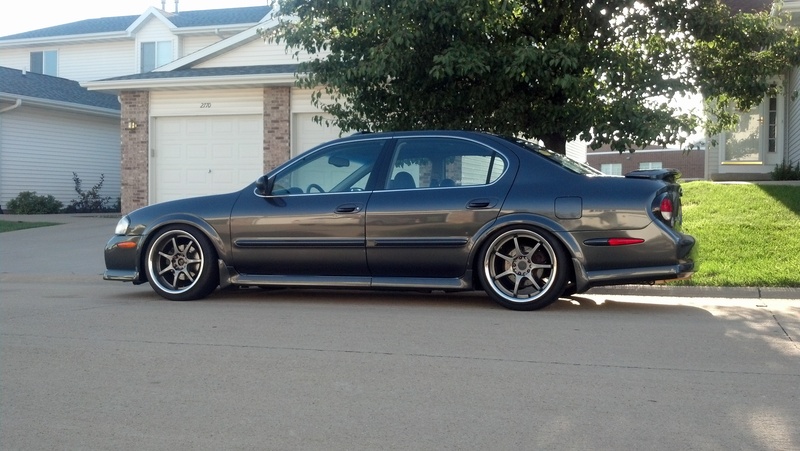 Modifications began with an Exedy OEM clutch & Fidanza lightweight flywheel, and a JWT intake. 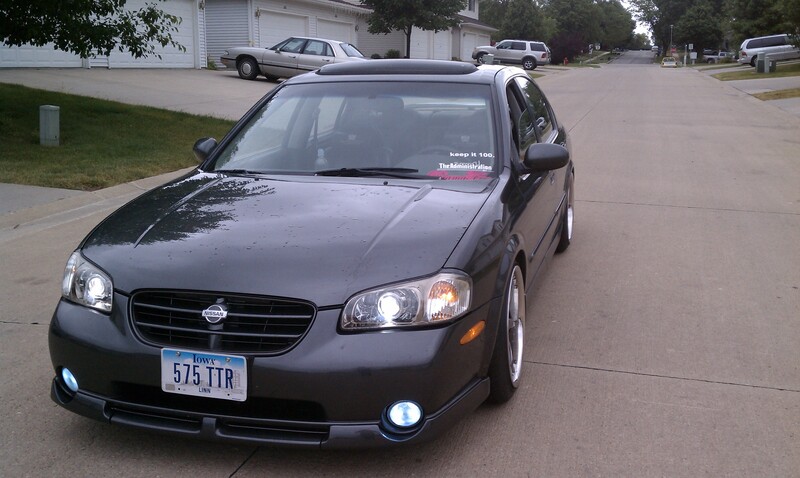 Afterwards came the v2OBX headers and Cattman exhaust. This was during the time that tuning the ECUs on these cars was a difficult task due to the lack of support. 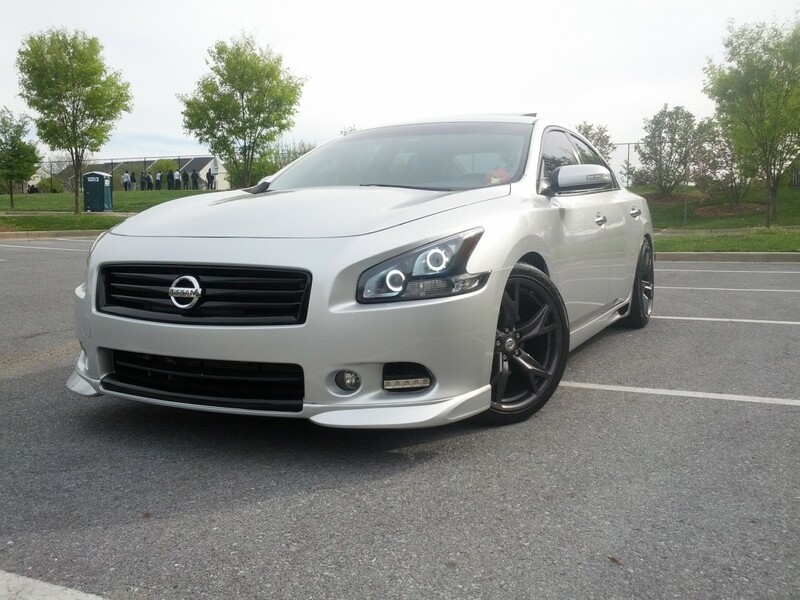 A GReddy e-Manage Ultimate was installed and has been the primary tuning tool for this Maxima. After the basic bolt ons were done, modding got very serious. 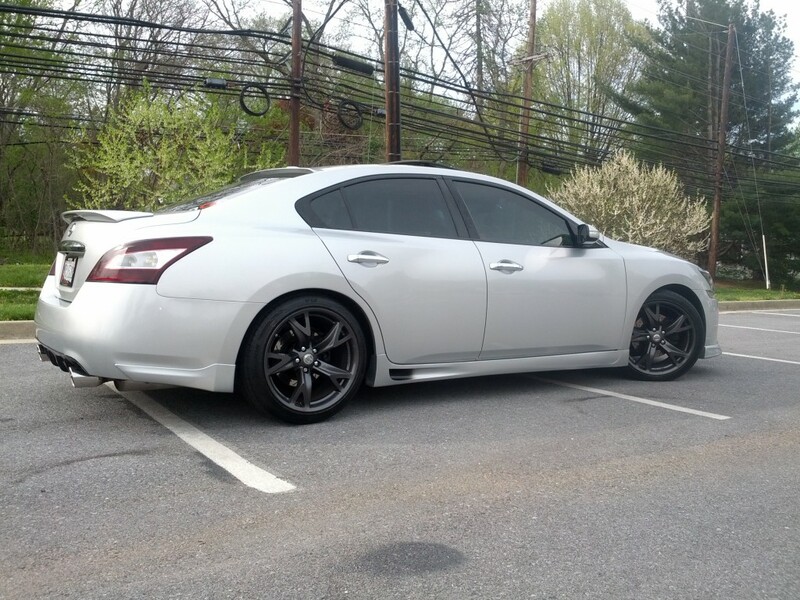 Coilovers and G35 wheels followed, along with other small touches such as varying stereo equipment and HID setups, and finally the JWT S1 cams. 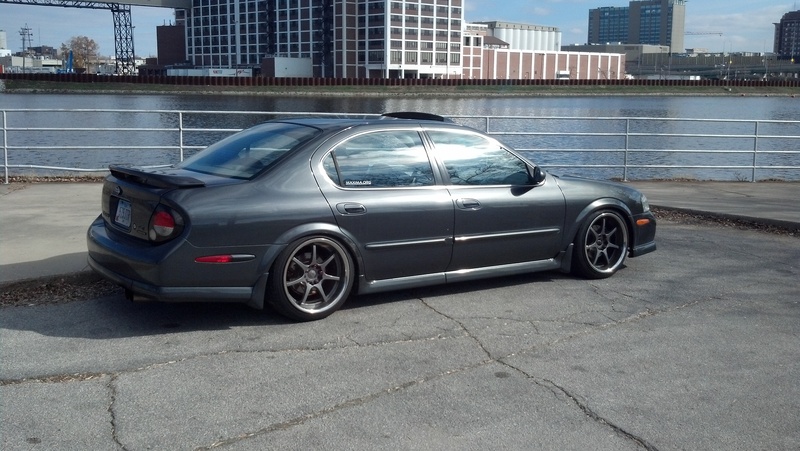 The owner wanted to get the absolute most he could out of the 3.0L platform without swapping to a VQ35, and it was done using the S1 cams, VQ35HR valvetrain and ported heads, along with an 82mm MAF and larger 3″ Cattman exhaust, allowing this engine to make 250whp @ 7500 RPM on a Dyno Dynamics dyno. The Exedy clutch started to slip, and at that point it was decided to swap to a VQ35. 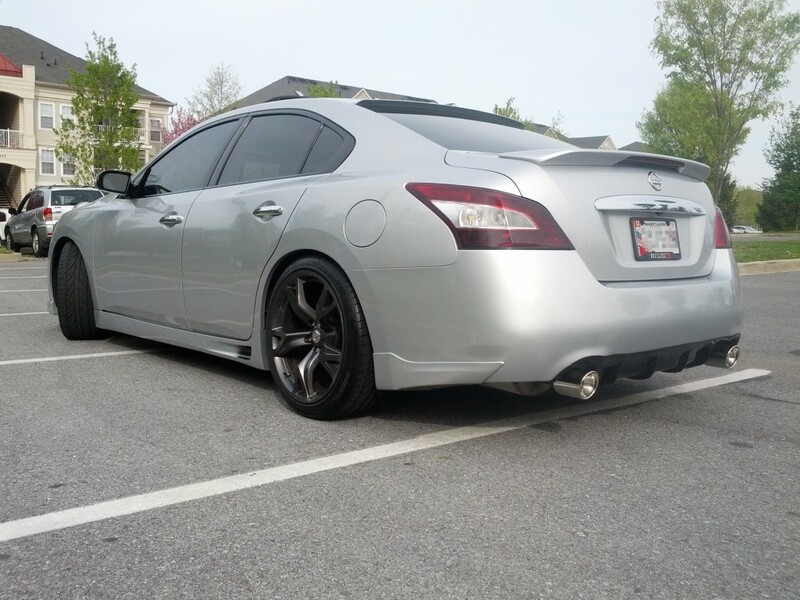 The VQ35 would use the existing 3.0L heads to bump the compression to ~11.8:1, and the bottom end was bored out to 3.6L. It was also beefed up with ARP main & head studs, rod bolts and ACL Race main/rod bearings for sustained high RPM activity. A gutted VQ35 intake plenum and Pathfinder throttle body sit on top of the engine, connected to the same 82mm MAF used previously. On the cosmetics side, the wheels have been changed to a set of XXR 009s, and the factory headlight housings have been switched to retrofitted projectors. A Pioneer touchscreen head unit and Vip’dOut VIP tray resides in the dash (James Church @ vipdout.com was a huge help with this). The car is awaiting a proper dyno tune and some smaller pieces to finish it off. This was an ultimate R&D project and far from an off the shelf setup in its current and previous forms. - VQ35DE block, stock pistons and rods – bored 40 over.